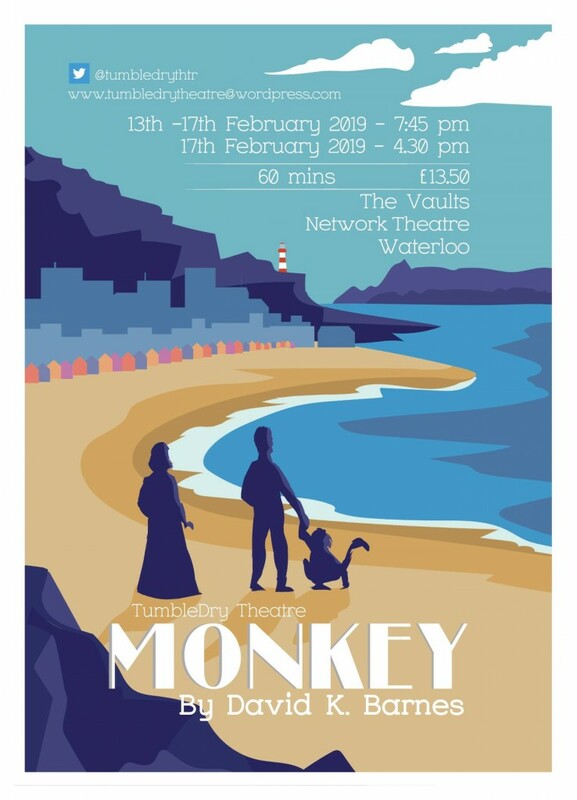 MONKEY is a new dark comedy about an organ grinder, his wife, and their monkey. A few months ago, you could have found Barbara leaping from tree to tree in the depths of a distant jungle. Now she works for an organ grinder on the boardwalks of the English seaside, dancing for spare change and having a thoroughly miserable time. Anxious, trapped and bored to tears, Barbara finds solace in the company of the organ grinder’s wife – but can either of them escape from the lives they never wanted? After all, people can’t resist giving money to a monkey. MONKEY was written by Offie-nominated DAVID K. BARNES (WOODEN OVERCOATS, BIRTHDAY SUITS, DOCTOR WHO), Director John Rushton.